12.5lb. steel etched helmet with gold gilt highlights. Etched panel motifs include military and court figures, angels, and castles with halberds. Burnished regions are still visible when visor is opened. 11.5" height x 13" width. 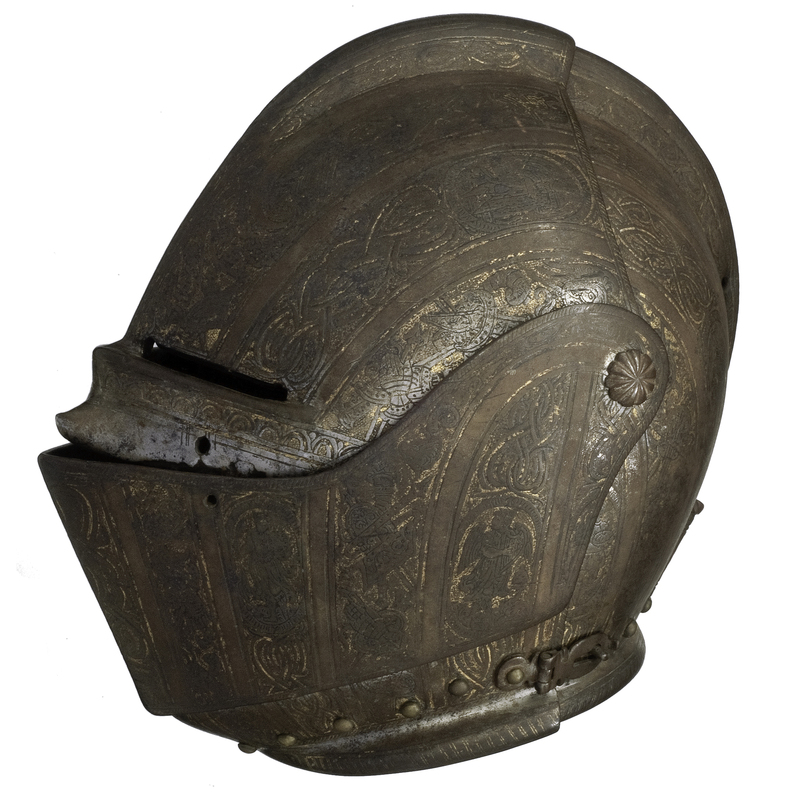 An outstanding 16th century helmet in excellent condition. Right side visor retaining screw is a replacement, all other components appear to be original and complete. Excellent.